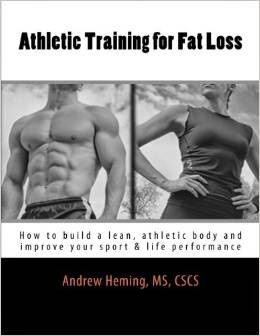 Andrew Heming's Blog: Build More Muscle with More Training Frequency? Build More Muscle with More Training Frequency? Do you want to pack on muscle faster? If so, you should increase your training frequency. Right? If you go from hitting a muscle group once per week, you have 52 opportunities to grow muscle. If you switch to training that same muscle three times per week, you now have 156 times to grow. That should guarantee you grow three times as much muscle or grow it three times as fast. Right? The problem with this line of thinking is that we just doing simple math and making assumptions based on that math. Are you willing to risk your time and energy training a certain way because it seemed like a good idea when you crunched the numbers? Thankfully, you don’t have to. A new study looked at high vs. low-frequency training and the results may surprise you. Gomes, G. K., Franco, C. M., Nunes, P. R., & Orsatti, F. L. (2018, published ahead of print). High-frequency resistance training is not more effective than low-frequency resistance training in increasing muscle mass and strength in well-trained men. Journal of Strength and Conditioning Research, 1. doi:10.1519/jsc.0000000000002559. This study involved 23 men between the ages of 18 and 32. Each guy had to have at least 3 years of consistent training. He also had to squat more than 1.5x his body weight and bench more than his body weight. Each subject had to be drug-free for at least a year. The subjects were divided into 2 groups. One group trained each major muscle group once per week while the other group trained each major muscle five times per week. Each group trained five times per week for eight weeks. Programs were designed so each group did the same volume and intensity. The low-frequency training group did a typical bro-split with chest & triceps on Mondays (i.e. International Chest Day), quads on Tuesdays, back and biceps on Wednesdays, hamstrings, and calves and Thursdays and shoulders and abs on Fridays. The researchers measured food records, muscle mass, 1RM squat and bench press strength and muscle soreness. Both groups gained size and strength with no significant differences between the high and low-frequency groups. The low-frequency training group had more DOMS (delayed onset muscle soreness) than the high-frequency training group. The high-frequency group made slightly greater strength gains. I love that this was an actual training study! Too many studies just do one exercise with pre and post-test blood work. I love that the researchers actually went through the time and effort to conduct an actual training study. For coaches and lifters, training studies are gold. Some may be concerned about the relatively small number of subjects used in this study. That is a valid critique, but we need to cut the researchers some slack. Actual training studies like these are hard, time-consuming and expensive (especially when you give them a shake after every training session like they did in this one). Of course, it would be great if there were 5000 subjects, but that is just not feasible. The time length (8 weeks) might have been a little short, but again not too bad considering the challenges of an actual training study. I love that they used subjects with some decent lifting experience. I’m impressed that they accounted for training age and strength. This helps to exclude subjects who have been training for a long time but are just spinning their wheels and not actually getting stronger. Most body part splits use a wider range of exercises. However, in this study, the low-frequency group just did a bunch of sets with one exercise. For example, chest day was 10 sets of bench press. I understand the researchers did this for consistency with the high-frequency group, but this is not how most bodybuilders train. Most bodybuilders would do 10 sets of chest with multiple exercises (e.g. 4 sets of bench, 3 sets of incline dumbbell bench press and 3 sets of cable flies). You can never just look at on study. When you consider all the research on muscle hypertrophy and frequency, the majority of studies show better results with increased frequency. For example, in 2016, Schoenfeld, Ogborn, and Krieger did a systematic review and meta-analysis on hypertrophy and training frequency. Their conclusion was that you should train a muscle group twice per week instead of once per week to maximize muscle growth. A similar study was published May 2018 in the Journal of Strength & Conditioning research that compared strength training routines down 3x per week vs. 6 times per week with equal training volume. The results showed similar increases in strength and muscle mass. The authors concluded that volume, not more frequency is the key to strength training adaptations. Note: the low-frequency group still did each lift 3x per week so we can conclude that a decent amount of frequency is still helpful. Don’t forget to consider real-world evidence as well. As a young guy getting started with lifting in the 90’s, I did a lot of body part split routines because that was what was in style back then. They do work. As a drug-free, skinny hardgainer, I gained much 50lbs of muscle with these routines. In addition, many competitive bodybuilders today still hit a muscle group only once per week. How important soreness is to you? This study shows (and I have seen this many times in the real world) that there was more muscle soreness with the low-frequency group. This is not a big deal if you are just sitting at a desk all day (well, at least until you try standing up). However, if you are an athlete looking to build muscle, consider training major muscle groups more than once per week. While I’m not against body part splits, I don’t use them for athletes trying to build functional muscle. 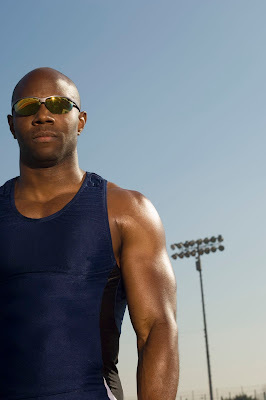 For more on this check out my posts on Body Part Splits for Athletes Part 1 and Part 2. While higher frequencies may help, this study helps us to understand that frequency is not the most important variable in gaining muscle. Volume and intensity seem to be the most important variables. You can never ignore individual differences. Just because someone you know or read about gets great results with a certain training frequency, does not mean that is the optimal way for you to train. First focus on picking great exercises and then getting sufficient volume with respectable weights. Then, you can play with training frequencies to see what works best for you.